I tested this SW-Motech Legend Gear 48-litre LR2 tail bag (RRP £269.83) over 15 months, covering 2500 miles. If you enjoy escaping on two wheels every so often and need to stash some gear on your bike, then I can highly recommend this tail bag. Both very well made and designed, it will fit on most machines, including my old Yamaha XT500 with its high-level exhaust. With a massive 48-litre capacity, you can load in plenty of gear and, thanks to the four-point strap mounting system, I know it won’t be disappearing off down the A1 under the wheels of lorry. The strap adjusters are an integral part of the bag, which makes life easy. To keep it from slipping about, the bag has an anti-slip bottom, and who wouldn’t want one of those? 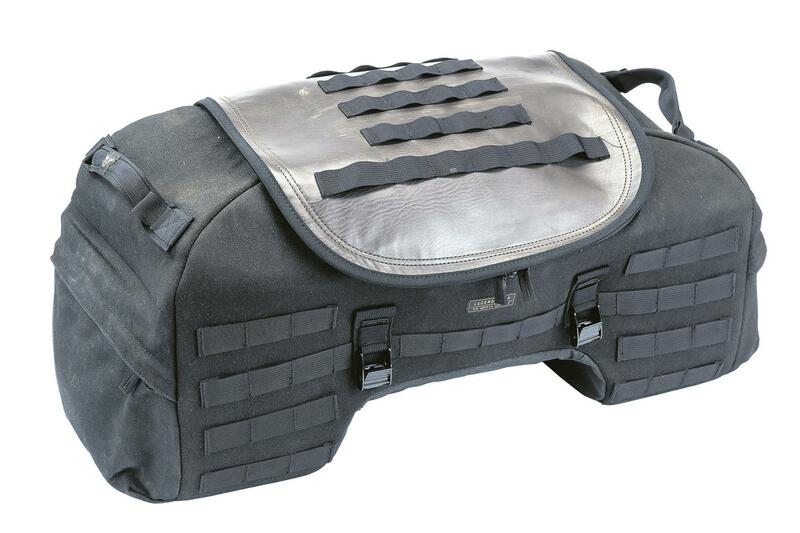 The outside of the bag has plenty of extra mounting points to attach additional Legend Gear accessories if required. Meanwhile, the shape of the bag hugs the rear seat of most bikes thus giving a secure, balanced feeling at all times. This is a great bit of kit. So far, I have nothing bad to report. It’s definitely a worthwhile purchase despite the relatively expensive price tag.